W6100 Ethernet Shield | WIZnet Co., Ltd.
W6100 Ethernet Shield is based on W6100. For more information about W6100, please visit W6100 Datasheet. 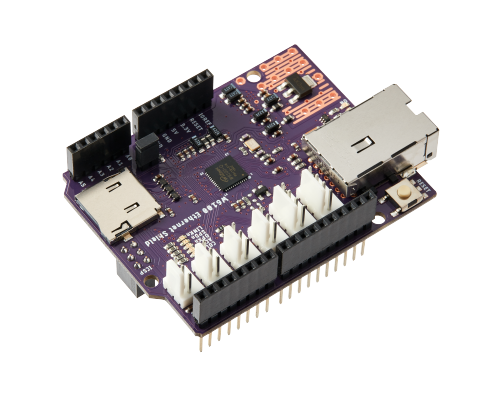 This Ethernet Shield can be used on boards with an Arduino Pin Header Form factor. W6100 suits users in need of stable Internet Connectivity best, using a single chip to implement TCP/IP Dual Stack, 10/100 Ethernet MAC and PHY. Hardwired TCP/IP Stack supports TCP, UDP, IPv4, IPv6, ICMP, ARP, IGMP, and PPPoE etc which has been proven through various Applications over many years.